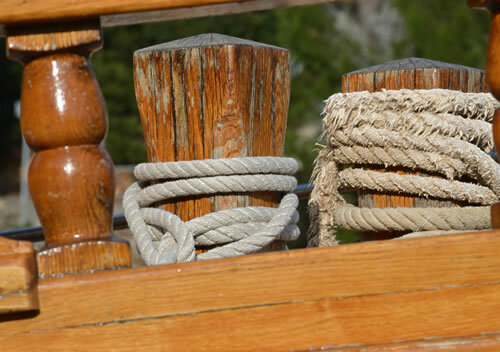 There’s something rather timeless about ropes. You find them everywhere in and around boats, useful for all kinds of tasks. But they can be artistic, too. 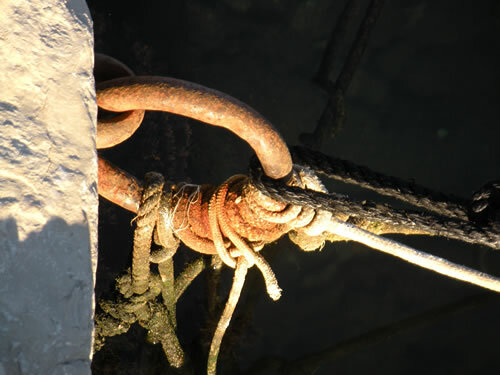 Take, for example, this neat boatman’s method of coiling the end of his mooring rope on the quayside in Jelsa. It’s very practical in keeping the end protected, out of the water and away from trampling feet. And what a very pleasing artistic arrangement! That rather smart-looking black rope appears to be one of the newer, braided nylon types. 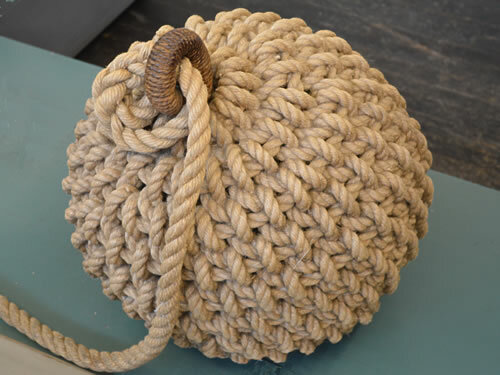 Traditionally, ropes were made from natural fibres, such as hemp, and laid or twisted in multiple strands. British navy sailing ships, for example, required ropes of 1,000 ft long, which meant that the “ropewalk“, the building where ropes were made, needed also to be that long. A large sailing vessel of the 1700s apparently carried about 20 miles of rope! 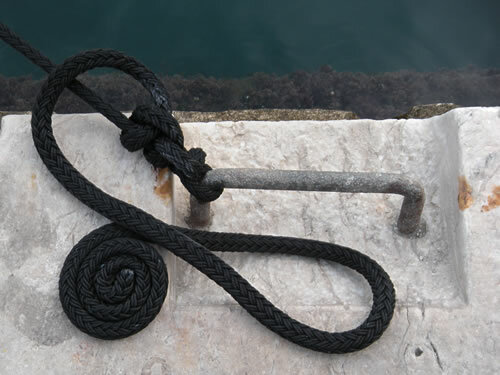 Twisted rope is mostly right-handed, meaning that the strands, usually three of them, twist to the right as you look along the rope. 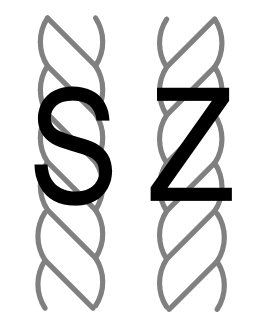 That’s defined in the ISO standard as a Z twist, as opposed to an S twist, if you think of the central section of the letter as being the strand. In constructing the rope, the fibres are twisted (rightwards) into yarns, then the yarns are twisted the other direction (leftwards) into strands, which are finally twisted again in the opposite direction (rightwards) into the rope. It all makes it stronger, and helps it hold together so it doesn’t unravel in use. Wandering along Vrboska waterfront, I really enjoy looking at the boats, each one with so much character. I particularly love the traditional, curvy wooden boats, with their immaculate paintwork and attention to detail. 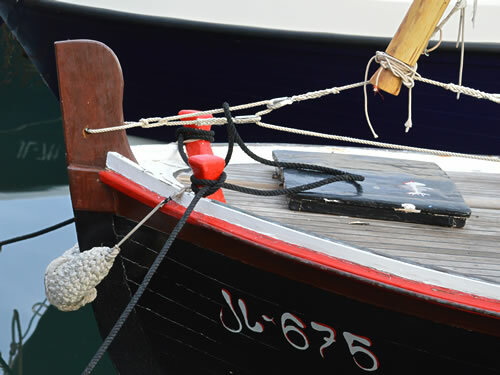 These boats are a work of art in their own right, and just look at that rope bow fender! Here’s another rope bow fender in close-up. How stylish is that? And so practical. I’ve attempted some macrame projects myself, but never anything this complicated. 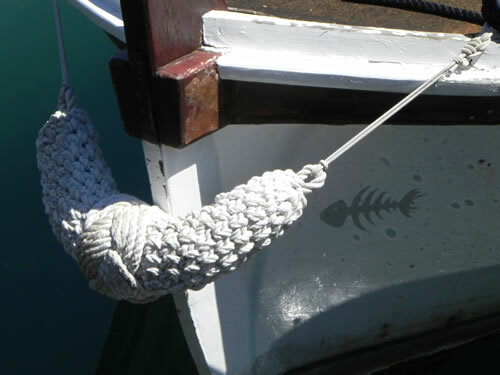 Of course, macrame is a traditional skill in many seafaring cultures – something to while away the hours at sea. Visiting the Technology Museum in Zagreb last month, I spotted this large example of a rope fender – pretty impressive! It’s hard to get an idea from the photo, but that’s about a 50 cm ( 20 in) diameter, and that rough rope must be murder on the hands to work. As I stroll around the waterfront with my camera, I like to focus in on small details that could be easily missed if you walk by too fast. And really, the local fishing boats have much more to offer than the shiny white yachts for my purposes! Some of these photos will become paintings one day, while others make interesting abstracts just as they are. There are so many little motifs that say a lot about life here, and the passing of time. The patina of age adds its own attractive texture, giving so much character. Of course, if left long enough, nature will inevitably start to take over, and add its own particular charm. 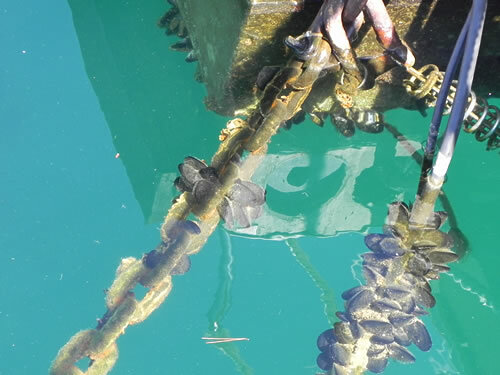 This old chain and rope in Jelsa harbour have become mussel colonies, and with the colours in that beautifully clear water, what a fine piece of abstract art it makes!